Teaching is an essential part of Charlie Morrissey’s research and practice in the field of movement and performance, and he is internationally respected and sought after for his teaching work. He has taught, choreographed and led choreographic projects in many major dance conservatoires, universities and colleges across the UK and abroad. He also teaches at festivals, for independent organisations, and for dance and theatre companies across the globe. 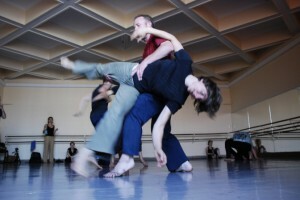 Charlie teaches Contact Improvisation based partnering work, release based and improvisational movement studies and composition for performance in a variety of contexts. He teaches at festivals and for independent organisations internationally. Charlie has taught for companies including Siobhan Davies Dance; EDGE; Berne Ballet; Urban Playground; Carte Blanche, Skånes Dansteater, Verve; Phoenix Dance Theatre; Candoco and Scottish Dance Theatre amongst others. 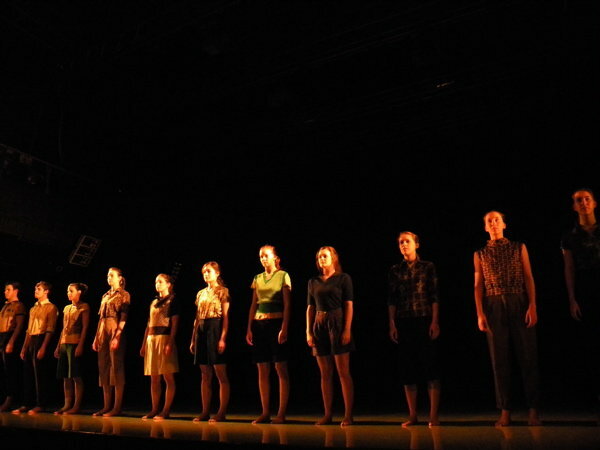 Laban, Northern School of Contemporary Dance, Coventry University, University of Chichester, The Irish World Academy of Music and Dance at Limerick University, and University of Brighton. HE has taught workshops and classes at all of the above and many others including the Place, Rambert School of Dance, University of Winchester, Liverpool Institute of Performing Arts, SNDO (Amsterdam), Roehampton Institute; the Modern Dance department of Amsterdam School of the Arts. Projects in educational institutions have included choreographing performance works and facilitating students in the creation of their own work, as well as teaching classes and workshops and giving lecture demonstrations. Contact Improvisation is a movement practice in which the point of contact between two people forms the basis of a movement exploration. 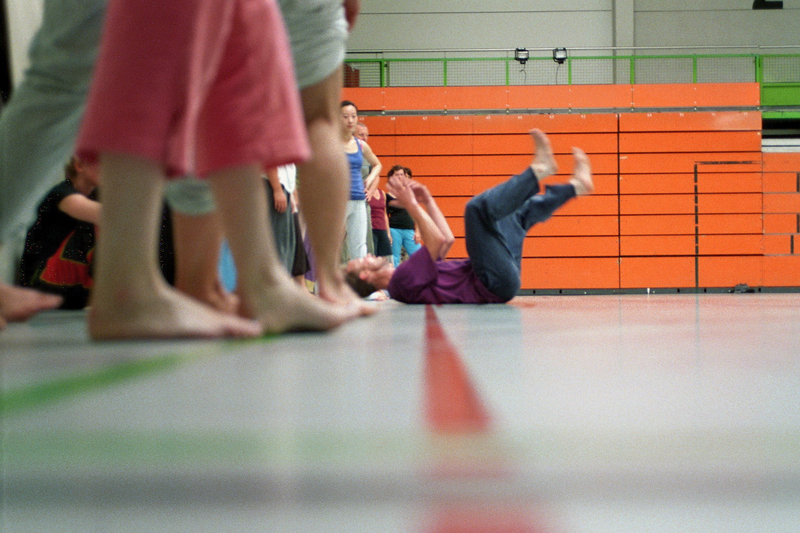 The practice explores the moving body in relation to weight, momentum and gravity (amongst other things). Rolling, falling, tumbling, pouring, suspending, and a variety of other movement arises and is explored in a dance in which listening and tuning in to sensation are central themes and in which the form arises from the content. Contact was ‘pointed out’ (his words) by Steve Paxton in 1974 whilst working with a group of gymnasts at Oberlin College in the U.S.A. and has since been developed around the world by the people who dance it. Each person brings something new to it and it’s development has, almost virus like, been spread from person to person, each adding something to it and passing it on to the next. Significant contributors who have helped to develop and spread the form include Nancy Stark – Smith, Daniel Lepkoff, Karen Nelson, Kirstie Simson, Martin Keogh, Andrew Harwood, K.J.Holmes and Ray Cheung amongst many others. All of these people and new generations of teachers continue to develop, refine and diseminate the form via their teaching and performance work. Contact can be danced by anyone. At it’s heart, it is a conversation between two bodies in space in relation to the laws of physics. 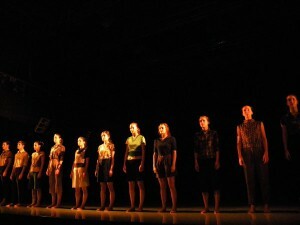 It is practised widely by professional and non – professional dancers and has been hugely influential in the developement of post – modern dance and new dance techniques. 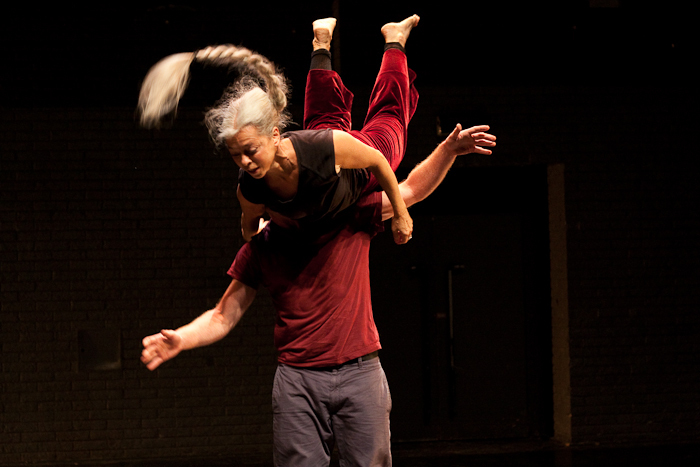 I find Contact Improvisation to be a consistently fascinating as a movement practice. It asks for total commitment of my attention; it is democratic, physically, culturally and philosophically challenging, constantly revealing, and huge fun. Contact Improvisation is at the heart of my teaching and I continue to explore it as a physical practice which consistently engages and challenges me. It’s like a constantly regenerating question that never gets answered, it’s something that keeps me teetering on the edge of what it’s possible for me to know, and this delightful precariousness is one of the many things that keeps me interested.